For the first time, U.S. life expectancy has surpassed 78 years, the government reported Wednesday, although the United States continues to lag behind about 30 other countries in estimated life span. The increase is due mainly to falling mortality rates in almost all the leading causes of death, federal health officials said. The average life expectancy for babies born in 2006 was about four months greater than for children born in 2005. Japan has the longest life expectancy - 83 years for children born in 2006, according to World Health Organization data. Switzerland and Australia were also near the top of the list. "The international comparisons are not that appealing, but we may be in the process of catching up," said Samuel Preston, a University of Pennsylvania demographer. He is co-chairman of a National Research Council panel looking at why America's life expectancy is lower than other nations'. The new U.S. data, released Wednesday, come from the National Center for Health Statistics. It's a preliminary report of 2006 numbers, based on data from more than 95 percent of the death certificates collected that year. Life expectancy is the period a child born in 2006 is expected to live, assuming mortality trends stay constant. The 2006 increase is due mainly to falling mortality rates for nine of the 15 leading causes of death, including heart disease, cancer, accidents and diabetes. "I think the most surprising thing is that we had declines in just about every major cause of death," said Robert Anderson, who oversaw work on the report for the health statistics center. The overall death rate fell from 799 per 100,000 in 2005 to about 776 the following year. Health statisticians noted declines of more than 6 percent in stroke and chronic lower respiratory disease (including bronchitis and emphysema), and a drop of more than 5 percent in heart disease and diabetes deaths. Indeed, the drop in diabetes deaths was steep enough to allow Alzheimer's disease - which held about steady - to pass diabetes to become the nation's sixth leading cause of death. The U.S. infant mortality rate dropped more than 2 percent, to 6.7 infant deaths per 1,000 births, from 6.9. Perhaps the most influential factor in the 2006 success story, however, was the flu. Flu and pneumonia deaths dropped by 13 percent from 2005, reflecting a mild flu season in 2006, Anderson said. That also meant a diminished threat to people with heart disease and other conditions. Taken together, it's a primary explanation for the 22,000 fewer deaths in 2006 from 2005, experts said. 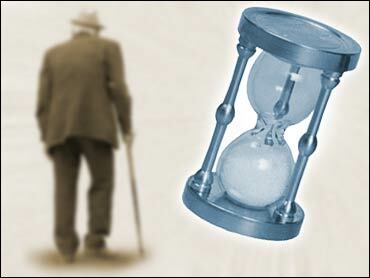 U.S. life expectancy has been steadily rising, usually by about two to three months from year to year. This year's jump of fourth months is "an unusually rapid improvement," Preston said. Life expectancy was up for both men and women, and whites and blacks. Although the gaps are closing, women continue to live longer, almost to 81, compared to about 75 for men. Among racial categories, white women have the highest life expectancy (81 years), followed by black women (about 77 years), white men (76) and black men (70). Health statisticians said they don't have reliable data to calculate Hispanic life expectancy, but they hope to by next year. Increases in female smoking are a major reason that men's life expectancy is catching up with the women's, Preston said. Improvements in the care of heart disease - a major health problem for black Americans - helps explain an improving racial gap, he said. About 2.4 million Americans died in 2006, according to the report.